How To Remove Facebook Search Bar History | GUI Tricks - In Touch With Tomorrow! 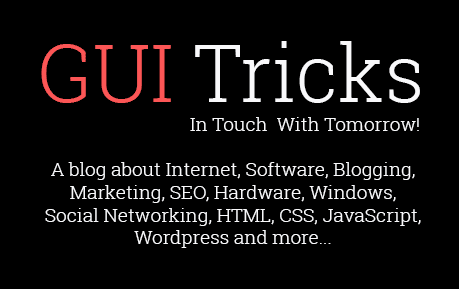 How To Remove Facebook Search Bar History - GUI Tricks - In Touch With Tomorrow! If you’re a Facebook user then you must know about the Facebook search bar where you can search everything about people, pages, groups, apps etc. Nowadays Facebook keeps trying to improve its features. So recently Facebook added a feature to save search history like Google. It’s mean, when you search anything else at once in search bar then next time whenever you’ll search again about it, so as you’ll write first word then it will give you the result of your input immediately and from this way, don’t have to face any problem while searching. But if you want to clear your input history from facebook search bar then follow below steps. Below are some very easy steps are waiting for you. Simply follow them and do it that you want. Now first you have to log in to your account. After that, go to the ‘Activity Log’ by clicking a drop down icon at the top of the right like below image. Once you entered in Activity Log, then click on ‘More’ which may listed below at left options. After this action. More options will be dropped down. Her find ‘Search’ option and then click on it. When you’ll click on search option, you searching data will show. Here you can delete your search input as your wish. You can remove by clicking on provided option, which will be mentioned at right. An example is shown in below image. But if you want to remove all history, so click on ‘Clear Searches’ which will be there at top of the right like an example image below. That's it! So guys, this was an official procedure to remove search history in Facebook. If anybody else knows about another to do this then must share with us and with our readers via comment below. If you think, this way to remove search history in Facebook is helpful for every facebook user then don't forget to share with them. Enjoy!